When Dr Zhivago accidentally encountered Strelnikov’s well-protected locomotive he was arrested and taken before Strelnikov. 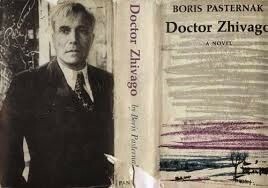 When Strelnikov sees Dr Zhivago he immediately recognizes the famous Russian Poet. These were the words of Strelnikov when he denounced Zhivago ‘s poetry. This entry was posted on Friday, January 26th, 2018. You can follow any responses to this entry through the RSS 2.0 feed. You can skip to the end and leave a response.